As you know, I love to getting my little ones into the kitchen. I think it can teach them so much; it helps to teach maths, science, being patient (we need that at the moment for sure…), creativity and all of the sensory stuff they love, squishing ingredients and making a mess. 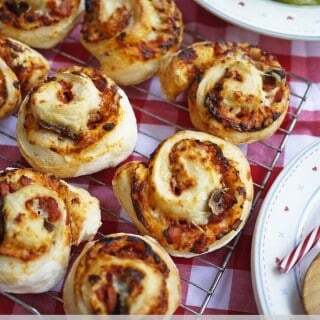 These pizza whirls are a perfect kids recipe, not too many processes but a really fun and delicious end result. 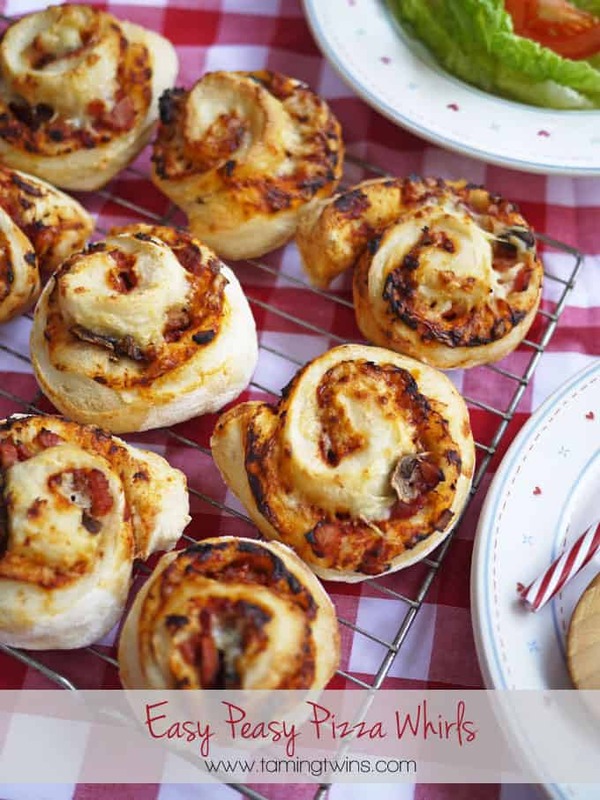 Now, of course pizza whirls aren’t exactly health food, but if you make the dough yourself, there’s no additives, just basic bread ingredients. That along with some healthy fillings and calcium packed cheese, as part of a varied diet, these are a great make for children. Don’t be tempted to leave the salt out of the recipe if you make your own dough, I know it seems like a lot for a kids recipe, but you really do need it to make dough. I am sure it will be a lot less than in shop bought bread! Let them choose their toppings and really get involved. 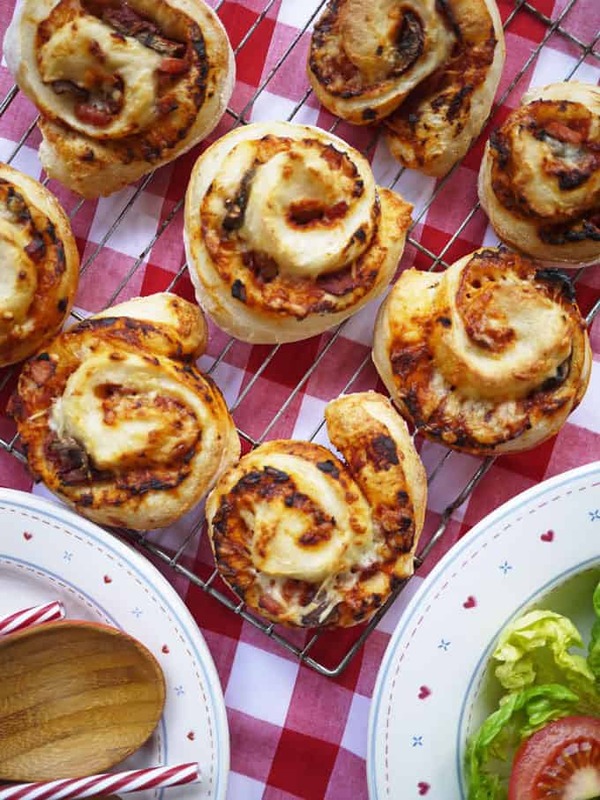 All of the usual pizza topping favourites work well in these pizza whirls, but don’t over stuff them as they become a bit tricky to roll. These are a great addition to a family picnic, buffet or packed lunch and great to make with or for kids. Mix up your dough ingredients (or packet according to the instructions). Knead and then cover and leave to rise in a warm place for 45 minutes. Roll out to form a rectangle about 20cm x 30cm (my little ones love helping with squishing the dough to this shape). Spread the tomato puree over the top, sprinkle on the oregano, then the other fillings, then about half of the cheese. 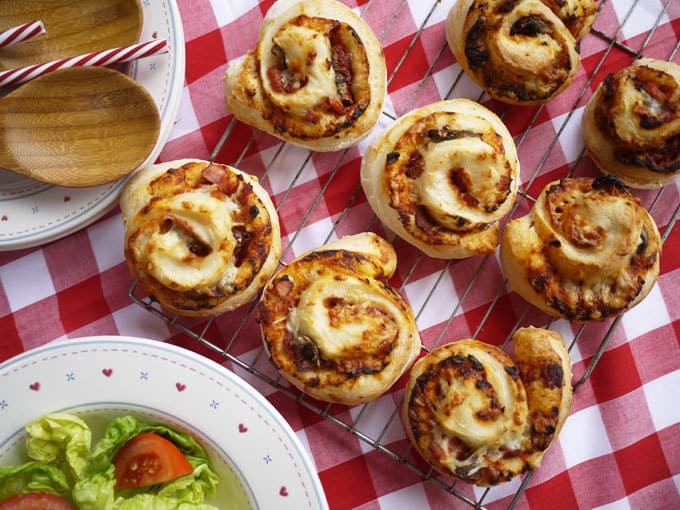 Roll up the pizza tightly, rolling the longest edge to make a Swiss roll shape. (If the Swiss roll isn't sticking shut, you can brush it with a little water here and there. Using a sharp knife, cut the sausage roll up into about 10 whirls or about 2cm thickness each. Lay them onto a baking sheet lined with baking paper and then cover with a tea towel and allow to rise for a further 15 minutes. Brush with the milk and sprinkle over the remaining cheese. Bake for 10 - 20 minutes (depending on the size of your whirls), until golden and the cheese is crispy. Enjoy hot or cold (they also freeze really well). Fancy seeing the other pizza love in our house..? Here’s How to Build a Pizza Oven (and Fall in Love with It). Sarah, love this recipe AND love getting kids into the kitchen! My most treasured childhood memories are in the kitchen with mother and grandmothers. This looks amazing! These look perfect for snacking!